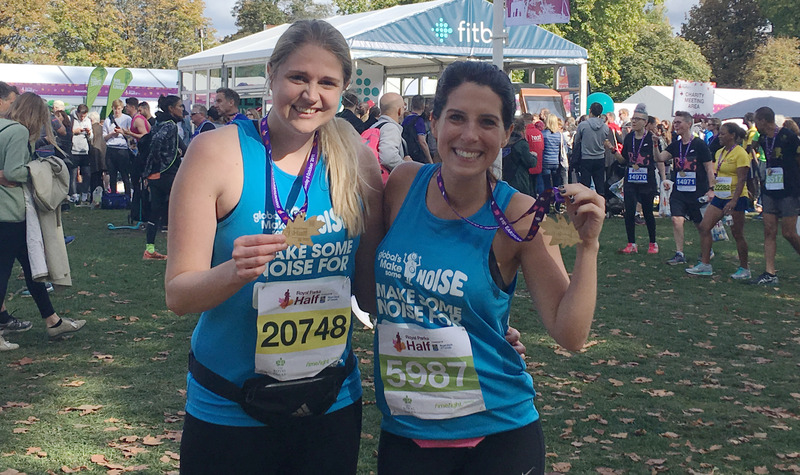 Join the Make Some Noise team for this year’s Royal Parks Half Marathon and raise money to help us change the lives of disadvantaged children and young people across the UK. On Sunday 13th October, over 12,500 runners will be taking on the 13.1 mile scenic route and we want you on our team. The unique race showcases London at its very best! You’ll pass through four of London’s Royal Parks – Hyde Park, Kensington Gardens, St James’s Park and Green Park, as well as iconic landmarks including Buckingham Palace and The Royal Albert Hall. We ask our runners to pay a non-refundable registration fee of £25, and commit to raising £350 in sponsorship for Global’s Make Some Noise. We’ll be on hand to provide step-by-step support to help you smash your fundraising target. Plus, we’ll also send you your very own Make Some Noise running vest to wear with pride on the big day! GO ON, SIGN ME UP!